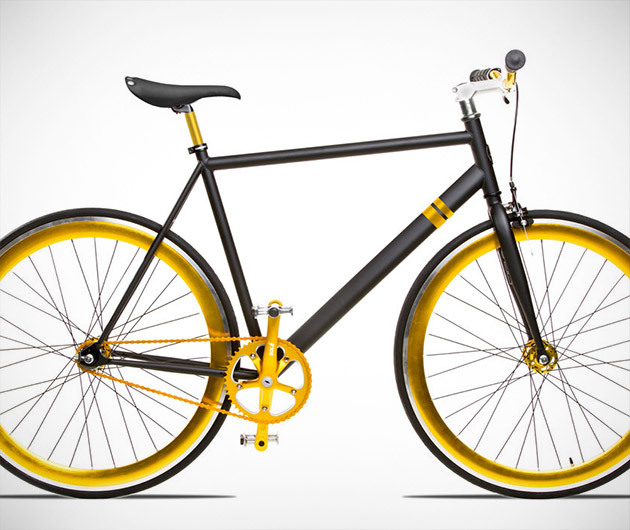 A snazzy bicycle with a funky gold and black color scheme, the Sole Micklish is forged from steel and sports Oury grips, toe clips and a five bolt chain ring. Other features of this fixed gear ride include durable 700 X 25C tires with Preseta valves, fork end dropouts, riser bars and a Cionilli plush rivet seat. Weighs in at 26 pounds of coolness.